There can be no doubt that the essence of Islamic civilization is Islam; or that the essence of Islam is tawhid, the act of affirming Allah to be the One, absolute, transcendent Creator, Lord and Master of all that is. These two fundamental premises are self evident. They have never been in doubt by those belonging to this civilization or participating in it. Only in recent times have missionaries, Orientalists, and other interpreters of Islam subjected these premises to doubt. 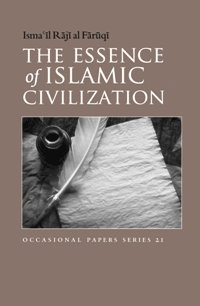 Whatever their level of education, Muslims are apodictically certain that Islamic civilization does have an essence, that this essence is knowable and capable of analysis or description, that it is tawhid(1). Analysis of tawhid as essence, as first determining principle of Islamic civilization, is the object of this document.